Boris Nemtsov Foundation for Freedom was established on November 9, 2015, by his eldest daughter, Zhanna Nemtsova. In memory of the lifetime achievements of the Russian statesman Boris Nemtsov the Foundation for Freedom gGmbH contributes to the spread of education, freedom, and progressive development. – memorial activities in honor of Boris Nemtsov. An independent platform for constructive EU-Russia dialogue. The Forum was launched in 2016 to facilitate discussions in order to enhance mutual understanding and foster strong relations between European and Russian thought leaders. Our goal is to bring together representatives of the new Russian generation and to introduce them to their Western colleagues in order to create a pro-European generation of future Russian leaders. “You have to be courageous to secure your freedom in Russia,” Boris Nemtsov repeatedly told his friends, supporters, and all other people who attended his public appearances. He lived for more than a decade in Russia under Putin’s leadership, advocating for human rights despite growing pressure and threats from the political regime. The belief that Russia is an integral part of European civilisation made Nemtsov one of the leading promoters of democratic values in Russia and one of the main enemies of the Russian political regime. 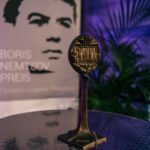 Nemtsov’s political legacy serves as the foundation for the idea behind the Boris Nemtsov Prize for Courage. The main goals of the prize are to encourage and to empower people who stand for democracy and human rights despite the increasing risk and mounting pressure. We prepare and publish a monthly monitoring that summarizes the main trends and targets of political prosecution in Russia. A joint project led by the Boris Nemtsov Foundation of Freedom and the Faculty of Arts (Charles University). 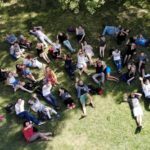 The Center holds public lectures of most prominent Russian and European scholars and intellectuals, supports Russian students who can no longer continue their education in Russia for political reasons and creates a network of post-graduate students who are interested in Russian Studies. Officially launched in February, 2018, the Center will be also involved in research projects. The Boris Nemtsov Summer School of Journalism and Cultural Studies is a three-week summer study program to train a group of 30 young journalists, bloggers and media activists from Russia, Ukraine, post-Soviet countries, Europe and the US on the core principles, norms and mechanisms of modern quality journalism through academic sessions, case study workshops put in the cultural and social context .The School is a joint project of the Boris Nemtsov Academic Center and the Faculty of Arts (Charles University). The School is held for the first time in 2018 between July, 16 and August, 3. The Boris Nemtsov Fellowship program is designed specifically for political refugees who live abroad and are willing to stay active.